DJI has released some very nice new accessories for its compact and foldable Mavic Pro drone. Some of the accessories should provide more safety for drone beginners, while others should give you better flight experience. While the Mavic Pro is equipped with obstacle avoidance sensors on the front and is absolutely stable outdoor and indoor, it is the very first drone for a lot of unexperienced pilots. The new propeller guard and propeller cage will provide an extra safety for all of them. 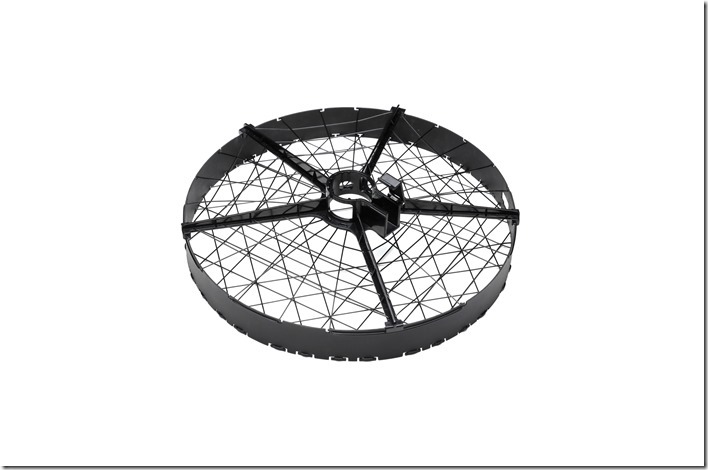 According to DJI the propeller guard should be available at a later stage. At the moment you can only get the propeller cage, which will completely encircles the propeller. 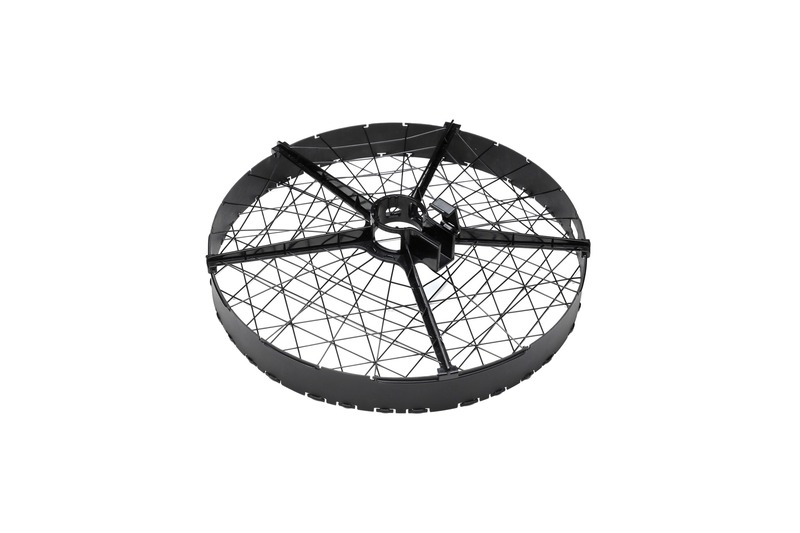 Unlike the propeller guard, the cage will fully protect the propeller from any obstacles. 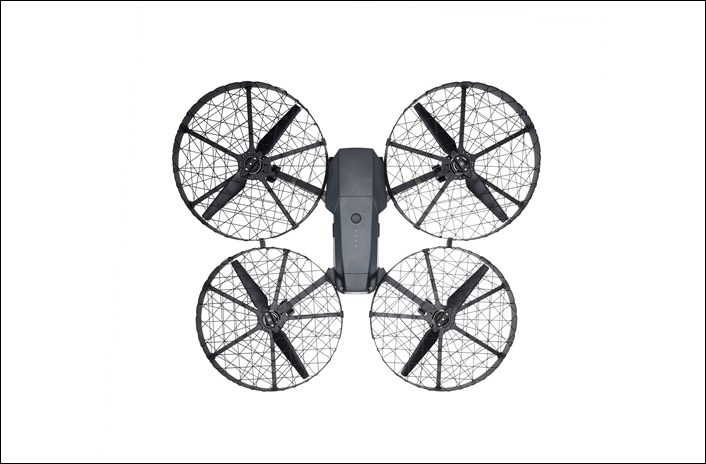 The cage is only compatible with a set of smaller 7728 quick release propellers, which are already included in the package. However the additional weight of the propeller cage and the smaller size of the props will decrease the flight time of the Mavic Pro to 12 minutes. Using the new advanced Mavic Pro battery charging hub you can also use the charger adapter of a Phantom 4. Its more powerful charger will speed up a lot the charging process. There isn’t any other noticeable difference between the old and the new charging hubs. The new remote controller monitor hood and ND filter set are the needed accessories for all the filming enthusiasts. If you live in a country with a lot of sunlight, make sure you get these. 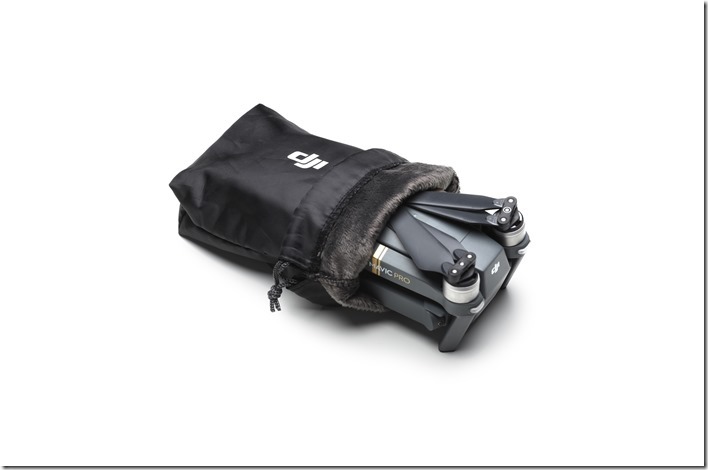 Last but not least, DJI is now offering a very nice sleeve for storing and transporting the Mavic Pro. If you haven’t got yourself already the Mavic shoulder bag, get yourself the sleeve, so you can protect the drone from scratches, dust or other damages. 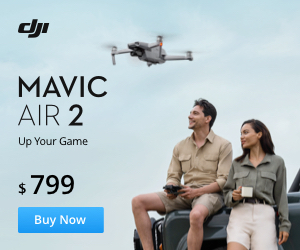 You can find all the new accessories at DJI.com.